I remember the first time I used electronic hearing protection. I placed the batteries, put them on, and was amazed at what I heard … I heard birds chirping, bees buzzing, and even people talking. Then, each time I fired a shot, or the shooter next to me sent one down range, it was like having regular ear protection in. The benefits to using electronic hearing protection on the gun range cannot be overstated. Before we get there, let me be clear on the intention of this article so things aren't confused. It is not my goal to sell you a set of the electronic ear protection we carry in our online store (though, we would appreciate it if you did buy them from our small business instead of from somewhere else). Selling you on those specific ones is not the goal of this article. My main goal as the editor of this website is to help you, our audience and fellow folks of the gun, be better at what it is you do. Part of that goal, is to show people how to be safe with their guns which is one of the reasons why we sell safety equipment like eye and ear protection, to begin with. It's important and we know what gear works best after decades of experience. Now that we've gotten that out of the way, what are the benefits to using electronic ear protection? Remember a minute ago when I told you I was able to hear birds chirping and bees buzzing the first time I put them on? What I didn't tell you is that the bee I heard was about 20 feet away from me and it sounded like it was right next to my head. While it took a few seconds to get used to, the benefits to this far outweigh any negatives you may be able to conjure up. For range time, you'll actually be able to hear the person next to you call cease fire. Or, if someone ends up getting injured, you may be able to help quicker because you'll be able to hear that there's a problem. Imagine being able to talk to your buddy at the gun range without having to pull your hearing protection off. Because electronic hearing protection muffles the loud noises (gun shots) while amplifying the low noises (voices), whenever you take self-defense classes where live-fire drills are used, both you and your instructor benefit and are much safer because you can hear the commands being given. Finally, if you're a hunter in a state that allows you to use electronic ear protection (check your laws, just in case because they do amplify sound), you'll be able to hear the animal better than you would if you went with nothing because it amplifies the sound of a twig breaking under the weight of a deer, or the antlers rubbing on bark, and you protect your precious hearing when you fire a shot off. I'm not a scientist so I'm not entirely sure how it works, and each company may even have different technology they use. However, what I can tell you from experience, is that electronic hearing protection muffles the bad noises to safe levels before they have any time to do damage to your ears. Anyway, long story short, I ended up popping a few rounds down range without my protection in and I regretted it the instant I did it. Now, the guns you shoot aren't likely machine guns. Still, any firearm can damage your ears, even if you don't notice the ringing afterwards. Even if you opt for regular, non electronic muffs to protect your ears, at least do that. Each time you fire a shot off it hurts your ears even if you don't believe it does. One day it will all catch up with you. What's worse? Having some temporary discomfort while wearing hearing protection, or losing your ability to hear altogether? Take it from someone with tinnitus (ringing in the ears), save your hearing before it's too late. Once your ears start to ring constantly like mine do, there's no shutting it off. Is electronic shooting ear protection more expensive than regular, non electronic ones are? Sure. But not by much. In fact, if you were to go to your local gun store, or even Walmart and look around you'd find those regular muffs priced between $15-25. We've got good, electronic ones in our online store for $29.99. Personally speaking, I'd rather have good electronic protection that I don't have to take off whenever I want to talk to someone at the range for just a few dollars more than the ones muffling all sounds. 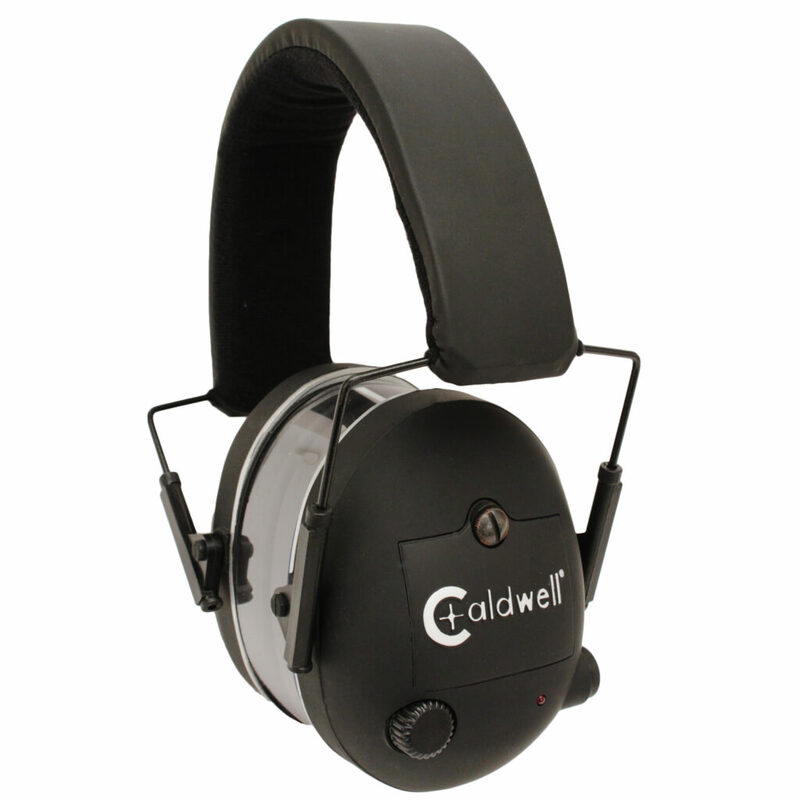 Check out our online store if you'd like to see our wide range of hearing protection. first of all there is no way you are going to hear the birds and the bee at 20′ away with constant ringing in your ears. Yes hearing protection is necessary and very important because once it’s gone, it’s gone. So don’t BS your followers about not trying to sell hearing protection because that is exactly what you are trying to do. First, yes you can hear noises as soft as a buzzing insect from several feet away. Twenty might be a stretch, but if you have the volume turned all the way up and nobody talking next to you, then it is possible. If you can hear a bird singing a hundred feet away, then you will hear one just as easily with ear e-pro. Second, if the price wasn’t listed in the article when it was originally published, then okay. Otherwise, R-E-A-D the article!